This is one of my favorite pictures. 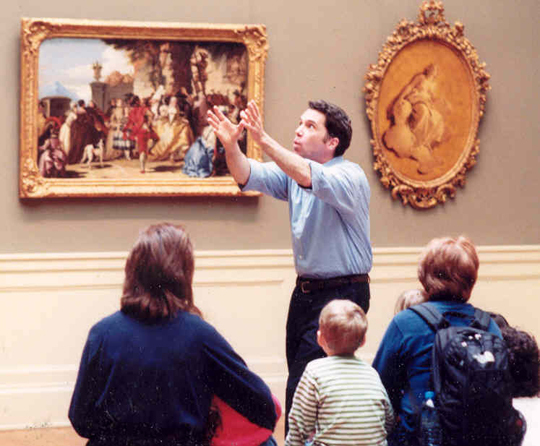 I am telling the Italian Folktale "Gallo Cristallo" at the Metropolitan Museum of Art in New York City. The painting behind me is Giovanni Domenico Tiepolo's "A Dance in the Country" (ca. 1775).